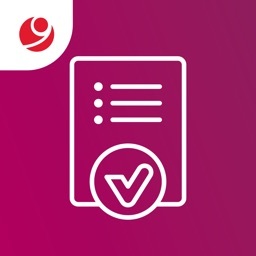 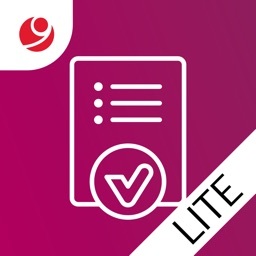 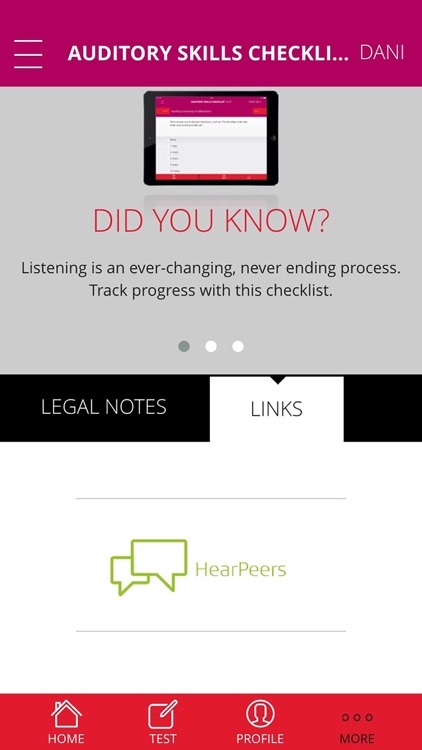 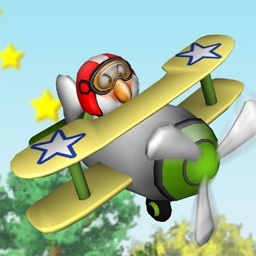 This App contains the MED-EL Rehabilitation assessment tool named the Auditory Skills Checklist. 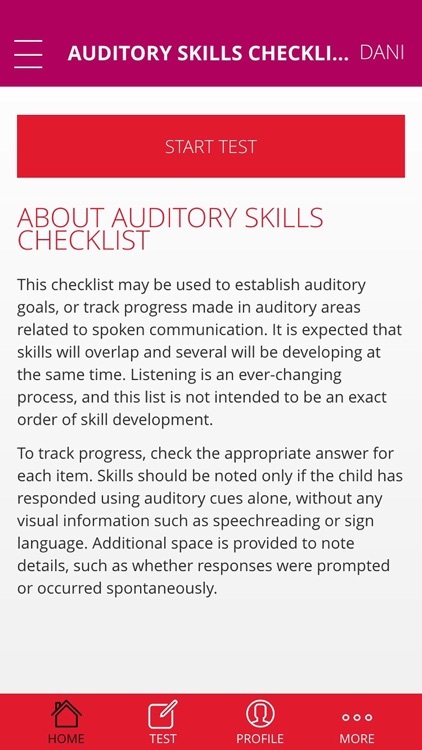 The Auditory Skills Checklist is a measure to assist in tracking the progress of a child’s auditory development and in setting goals. 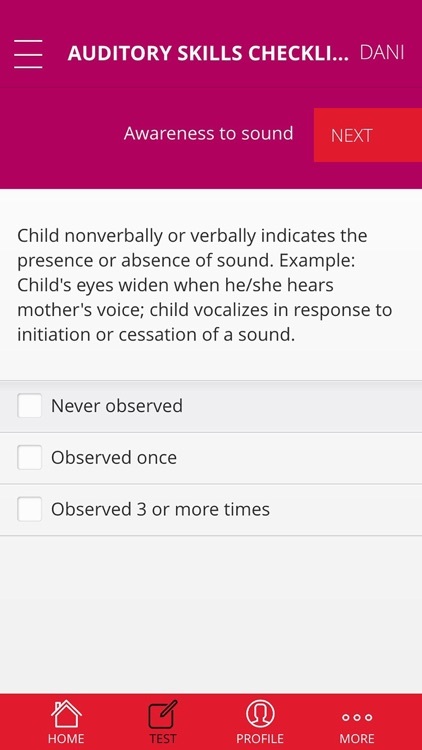 The checklist uses multiple choice questions to determine if a child has responded using auditory cues to auditory information presented to them. 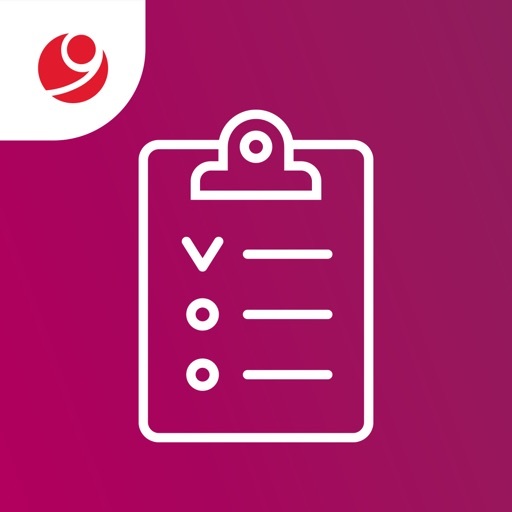 It is easy to use and particularly helpful in monitoring the development of a child’s skills over time.